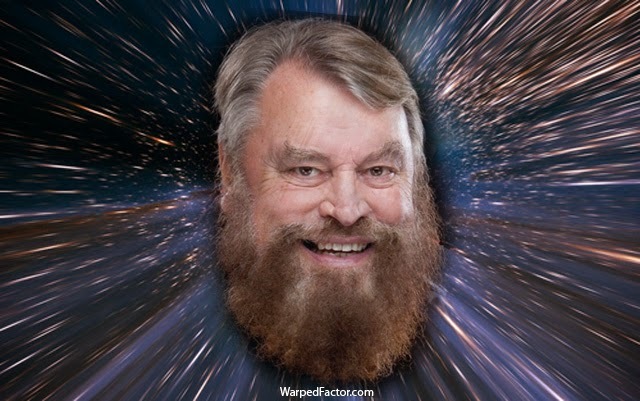 Doctor Who: What If BRIAN BLESSED Was The Sixth Doctor | Warped Factor - Words in the Key of Geek. Come with us now as we consider a very different post Caves of Androzani regenerative path for the Fifth Doctor. His death from Spectrox poisoning could have seen him become a very different man indeed. 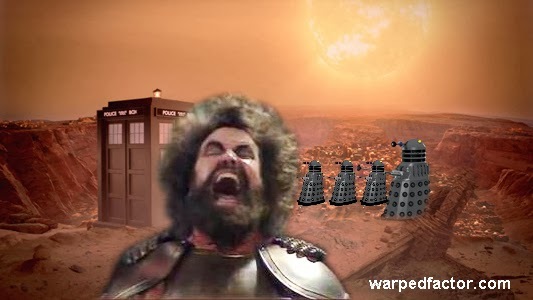 And the man he would have become in this scenario is the one who would appear with Colin Baker's Sixth Doctor as King Yrcanos in Mindwarp, part two of the Trial Of A Time Lord arc, a dramatic mirror for the struggles of Doctor Who itself against the powers that be at the BBC. 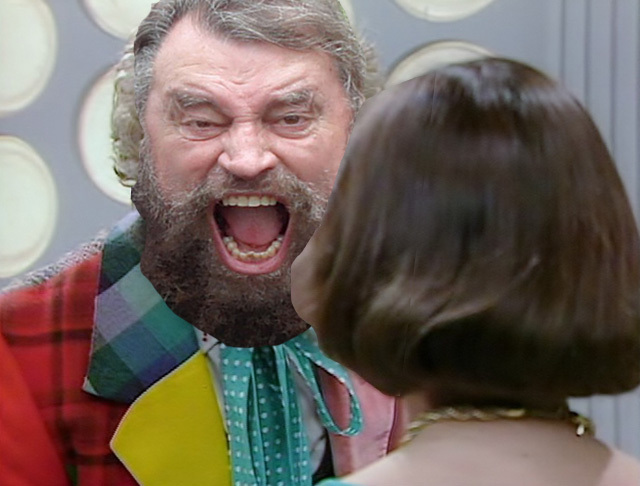 Step forward one Brian Blessed, the man with the voice loud enough to match that coat. Who can forget such dialogue gems as "Blood. Death. Terror. Kill!" delivered in that tone of his? With a little creative casting he could've been getting his tongue around so much more than one-dimensional "wasn't he good in Flash Gordon?" thinking. For when you get down to it, isn't Yrcanos just a massive riff on Prince Vultan, leader of the Hawkmen? Little wonder that Crozier, the scientist experimenting on him having been hired to perform surgery on the Mentor leader Kiv, who's seeking a new host body for his massive brain has such a low opinion of his subject. "Yrcanos is a barbarian king. He knows only one thing, how to fight, therefore he is fighting our attempts to give him peace and tranquillity." Now then, do we know anyone else who'd undergone a similarly traumatic transition? Sure we do! After all, strangling your companion is hardly the action of a man who's entirely content with his new body/personality. And with a little creative illustration of extracts from the scripts - for the most part, the addition of a few more capital letters, exclamation marks etc - we can begin to imagine how Blessed would have approached the part of the mentally unravelling Time Lord. "CHANGE, my dear!! And it SEEMS not a MOMENT too SOON!!" The stage is now set for The Twin Dilemma and his half-crazed attack on his lady companion. Just imagine that booming voice as he shakes poor Peri like a rag doll with his massive burly arms. Not before taking some time to appraise the newest of his bodies, of course. "AH!! A noble BROW!!. Clear GAZE. At least it WILL be, given a few hours sleep. A FIRM mouth. A face BEAMING with a vast INTELLIGENCE!!. My DEAR child, what on Earth ARE YOU complaining about?" DOCTOR: I'll tell you. A peri is a good and beautiful fairy in Persian mythology. The interesting thing is, before it became good, it was evil. And that's what you are. Thoroughly evil. DOCTOR: No. No, not even a fairy. An alien spy, sent here to spy on me. Well, we all know the fate of alien spies. Of course, a little later the Doctor would mellow by his standards for this incarnation! Though his trial by the Time Lords would offer him a chance to get back to his grandstanding best, the evidence against him having been fabricated by the Valeyard- his own dark side given physical form. And his courtroom speech is almost too perfect as a candidate for Brianisation, surely? "In all my travelling throughout the universe, I have battled against EVIL, against POWER-MAD CONSPIRATORS. I should have stayed HERE! !The oldest civilisation: DECADENT, DEGENERATE, and ROTTEN to the CORE!!! Power-mad conspirators, Daleks, Sontarans, Cybermen - they're still in the nursery compared to us. TEN MILLION YEARS of ABSOLUTE POWER!!! That's what it takes to be REALLY corrupt." Of course, all this is but a little tampering with the Matrix of possibility. But in reality Brian really could have played the Doctor, albeit a little earlier than 1984. Speaking to the Guardian, he claimed he had turned down the role in the late Sixties, when the BBC were looking to replace William Hartnell and he had recently finished playing 'Fancy' Smith in Z-Cars. Of course, Patrick Troughton was ultimately chosen to take on the mantle. Interestingly, Blessed now says he'd "jump at" the chance to portray the Doctor in a future incarnation! "After I was in Z Cars, the head of BBC serials took me aside and said, ‘We’re thinking of having a young Doctor and we’d like to cast you’. But it clashed with other things." Whether it can happen in future is as yet unknown, but if the possibility of his casting isn't at least discussed when the time comes, no doubt several fans will have a similar reaction to that of Yrcanos upon assassinating Kiv in Peri's body! 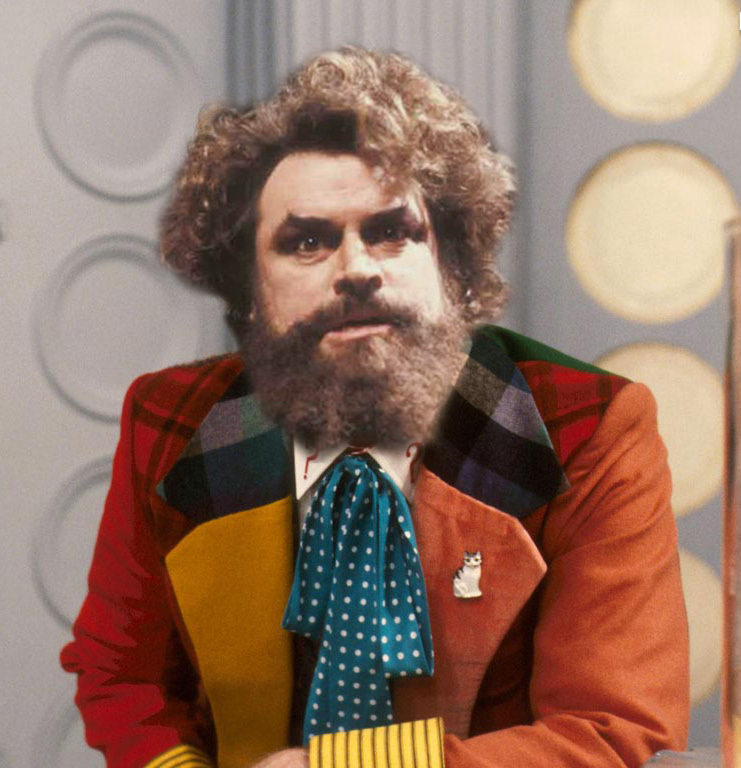 What if Brian Blessed was the Fourth Doctor?